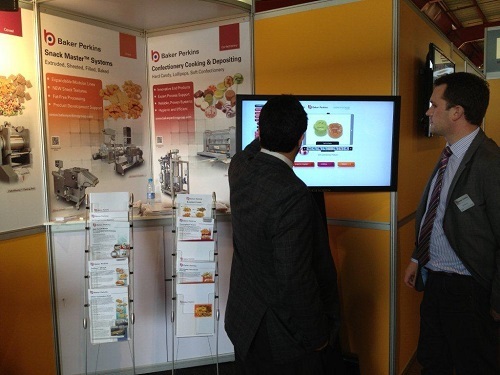 Baker Perkins highlighted its ability to provide flexible systems and fresh product ideas for the snack industry at Propak Africa in Johannesburg from March 12 to 15, 2013 (Courlanders Agencies stand J12/K7). The modular Snack Master™ concept enables companies to enter the market with an uncomplicated extrusion system making standard, direct expanded snacks such as corn curls, chipsticks and maize rings. As business expands, the line may be extended in stages to broaden the range of products that can be made. Sophisticated textures, from crunchy croutons or crispy baked snacks, add value to the product range while co-extruded pillows sticks and wafers bring new dimensions in flavour and texture. As the snack market continues to develop more attention is being paid to reducing fat and salt content and also making snacks from a wider range of ingredients than the traditional potato and corn. Vegetables, pulses whole grains and multi-grains are all beginning to feature in snacks and the flexibility of extrusion makes it ideal for processing these ingredients to create interesting snack textures without the need for frying. Another original process is continuous puffing of pellet snacks using hot air. Based on the proven Thermoglide2™ Toaster, the new snack puffing system replaces frying as a means of converting pellets into a finished snack. No oil is absorbed during the expansion process, unlike frying, and only the minimum amounts required for flavour need to be added afterwards.